If being the mother of an addict has taught me anything it has taught about living in the moment. 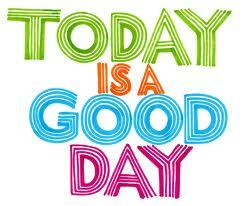 The Mantra of the Recovery World is “Today is a good Day”, for truly no other day matters. Dwelling on the brokenness of yesterday will only keep me and those addicted if they do the same, stuck there. There is much to learn from our brokenness, it’s truly how we make today different. But I’m afraid I’m guilty of examining everything through that brokenness then assuming the brokenness will once again win out. This my friend is the place I seem to be stuck on my Recovery Journey. As I shared some news yesterday with two friends both reminded to put a positive spin on my lament. To walk in truth, yet believe that good and what is right is possible. As my son battles out his Recovery and he has been able to put together a string of “today is a good day(s)” for which I am very thankful… I too battle out mine own Recovery. Neither of us has arrived, for there is no real destination other than today. My question to myself and one we should each ask every day is this…. Today I will continue to work on me and by so doing I can (hopefully) say at days end…. Today is/was a good day. Having a man/child that is an addict is exhausting on so many levels. And depending where you are in your own Recovery it can be downright unbearable. I’ve had the “unbearable” and the absolutely exhausting. Far more times then I wish to count. My friend over at Addiction Journal is a huge proponent of taking care of one’s own Journey. He often suggests things like this. http://addictionjournal.net/?p=3464 and I did just that this past week. I took a 5 day Road Trip with my Best Friend. We headed south to Cape May New Jersey. Just two girlfriends, heading out to do nothing more than enjoy nature; literally we visited several Nature and Wildlife Preserves, as well as some specialty Gardens and Nursery’s. And some well needed R & R.
At one point I had to turn my phone off as my son called, and called about some drama/crisis in his life. There was nothing I could do from 400 miles away and I was glad to be right where I was. Not only did I turn my phone off… but I left it in the Jeep as we hiked the trails and walked the marshes. Please know that it is OK, (its more than OK) to take care of you. As family of an addict we have most likely spent countless hours thinking, worrying, pacing, not sleeping and running ourselves just absolutely ragged over our addicted loved one. I know I have. Leaving the chaos behind and spending time refreshing our soul is the best medicine we can give ourselves. I came home feeling like a new person. Filled and ready to give out of a new stream of Hope. But let me caution you… don’t think by refueling that you will be able to give and give all over again to that addict… the refueling isn’t for them, it’s for YOU! Its for the rest of the family who has been left in the dust as you have driven yourself crazy trying to fix your son, daughter, husband, wife. Use your newly refreshed soul to give in places you have forgotten about. Believe me when I say… you won’t regret it!